Google (s GOOG) is finally rolling out its long-awaited update to the Google TV platform this weekend, which comes with a completely revamped UI as well as access to the Android Market. The update will be rolled out to Sony devices first and reach Logitech Revue set-top boxes soon after. On both, consumers can expect access to up to 1,800 apps at launch. Google TV VP of Product Mario Queiroz and Google TV Product Lead Rishi Chandra sat down with me the other day to talk strategy as well as give me a tour of the new platform. 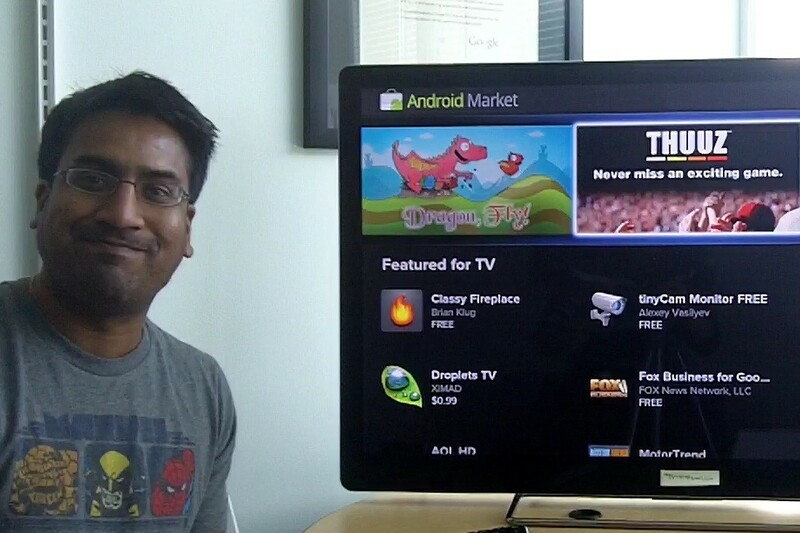 Check out a first video of Google TV below, or skip down to read about the major updates and many more things to come. Saying that Google TV hasn’t been a success story is being very polite. The platform was mostly met with bad reviews when it first came out a year ago, and sales were so lackluster that hardware partner Logitech lost millions of dollars as well as its CEO, and eventually decided to drop the price of its Revue set-top box from $249 to $99. That’s been a humbling experience for the Google TV team, and both Queiroz and Chandra went out of their way to point out that they got the message. “We learned a lot from V1,” Queiroz told me. He said the team completely understood that the first version was too complex, and too much focused on the things that Google knows best, like search. 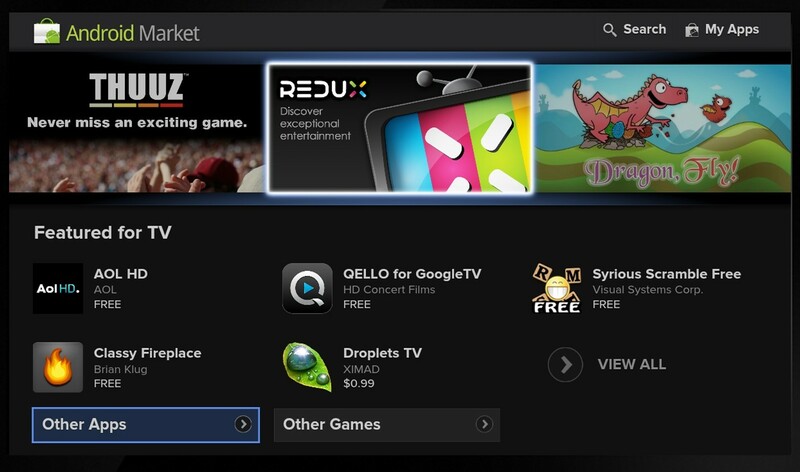 Queiroz described this update as the first step towards making Google TV more user-friendly – with a big emphasis on first step. “This is not the final version,” he promised, adding that there will be “one or two major OS updates a year” going forward. The UI was simplified as well and now works better as an overlay over TV programming, which should make the integration with pay TV services easier — more on that below. Google TV now has a simplified programming guide in the form of a TV and movies app that offers access to live TV listings as well as online sources for content. There’s an option to get personalized recommendations based on past ratings and viewing behaviour, but it’s opt-in. Users will be able to install non-market apps, which should make a lot of developers and homebrew hackers very, very happy. 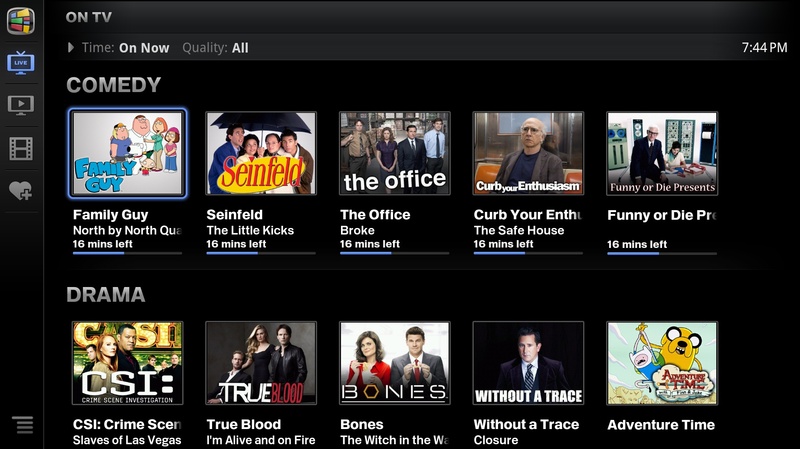 YouTube is playing a much bigger role in this version of Google TV. The first iteration included a somewhat awkward YouTube integration that threw users back onto the video sharing website, but YouTube became nonetheless the most popular app on Google TV. 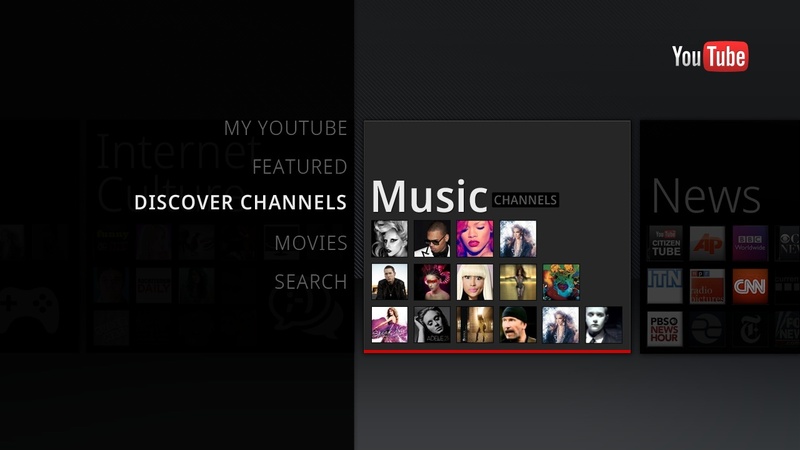 Google TV 2.0 includes a proper YouTube for TV interface, and videos start in full-screen mode right away. The new version of Google TV isn’t really all that groundbreaking; rather, it’s what Google TV should have offered all along. And that seems to be exactly what Google was aiming for with this release — not a big flash, but finally a solid base that can be continuously improved both through Google’s apps as well as applications from third-party developers. Queiroz and Chandra didn’t share many details about future releases, but they said that social will play a significant role for Google TV in the future — which of course can only mean that Google+ will inevitably find its way to Google TV sooner or later. Part of that continuous push will also be the release of new devices. Both Samsung and Vizio have already announced their own Google TV devices, and the company is now saying that it will have more partners to announce in 2012. Those devices will be cheaper too, now that Intel has ceeded the smart TV game to ARM. Queiroz also hinted at two other big opportunities for Google TV: The platform will eventually be available outside the U.S., and he admitted that the television market works very differently once you leave this country. To me, that sounded like a hint that Google may be more open to embracing free over-the-air content in Europe and other places where pay TV doesn’t play as big of a role as in the U.S. He also said that even in the U.S., there would be other distribution models. Given that Google just acquired Motorola Mobility, one can expect that Google is already looking at bringing Google TV to cable TV set-top boxes. I have google tv with dish and have a dsl line but I am upgrading to uverse you don’t want it if all you have is DSL to slow. I would like to see a Tivo-like capability that shows my recorded shows. I’m less into searching and browsing. I want automation of my favorites. I wonder what Dish will due with Google TV v2.0 since it was a partner in the first version. Thinking of getting one for my Dish 722k HD tuner. And it is already hooked to my DSL line.